All about grandparenting. 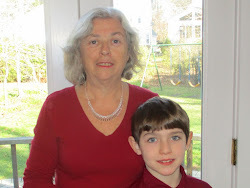 Toy, book and product reviews of interest to parents and grandparents. Fun places to go and things to do with grandchildren. This is always my favorite blog post of the year. Even if you aren't in the market for a doll you will enjoy this post - guaranteed. I think that there is something about dolls that Grandmas are drawn to – I certainly am. 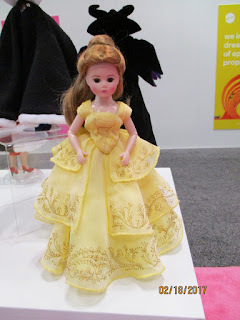 There are literally hundreds of different dolls at Toy Fair and it isn’t easy to choose my favorites – but after much consideration I have identified these as the most noteworthy this year. Some of these are from small companies and so you will only find them in specialty stores and online. If you check the company websites you can usually find the closest store to you that carries them. Others are what's new in the biggest brands on earth. I have included dolls for babies, toddlers, pre-schoolers, older girls and adult collectors. Smile! Enjoy!! The pictures are all my own from the displays I saw so they aren't perfect – no stock photos here – just the real thing. For some of the items not out yet, this may be a prototype and the final may differ a little. Please let me know in the comments which are your favorites. Corolle is a French company that makes the most precious dolls ever. 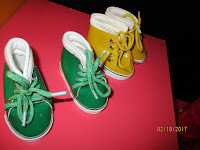 They used to have a more extensive line, but now they are concentrating on dolls for babies and pre-school children. I had trouble choosing which doll was my favorite but I chose this one because of it’s unique features. This soft cuddly doll with the trademark light vanilla scent also is a 5 minute nightlight and plays eight gentle tunes. You can take the battery pack out and throw little Grenadine in the wash. I have seen lots of interesting nightlights at Toy Fair but this is the only one I’ve seen incorporated into a soft, cuddly doll. 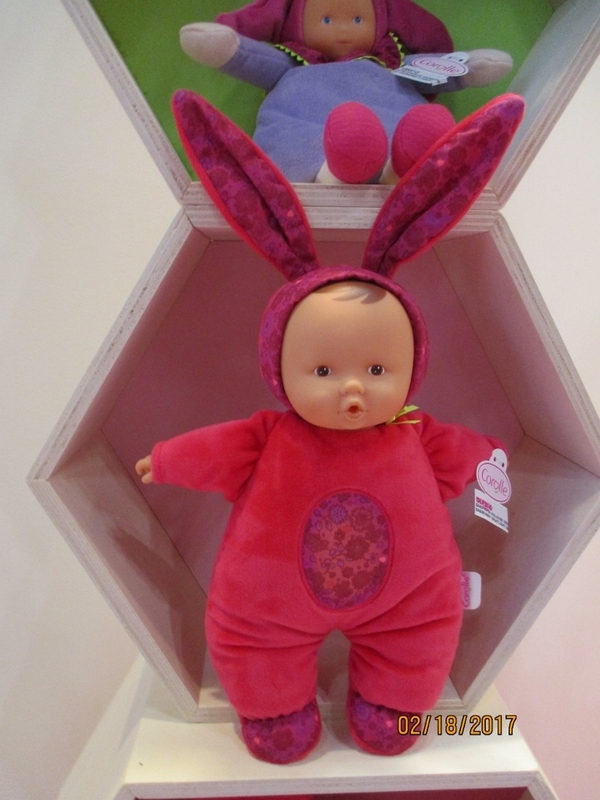 This doll is part of the “mon doudou” (cuddly in French) line meant for babies from birth and up. These soft 12 inch dolls by HABA are safe for toddlers and they come in both boy and girl versions. The are all fabric stitched - not plastic -and features are stitched on expressive facial features. They come in different colors so you can choose one your grandchild will identify with. There are quite a number of dolls in this line and these are some of the new ones you will see in 2017. The all come in cute colorful outfits. 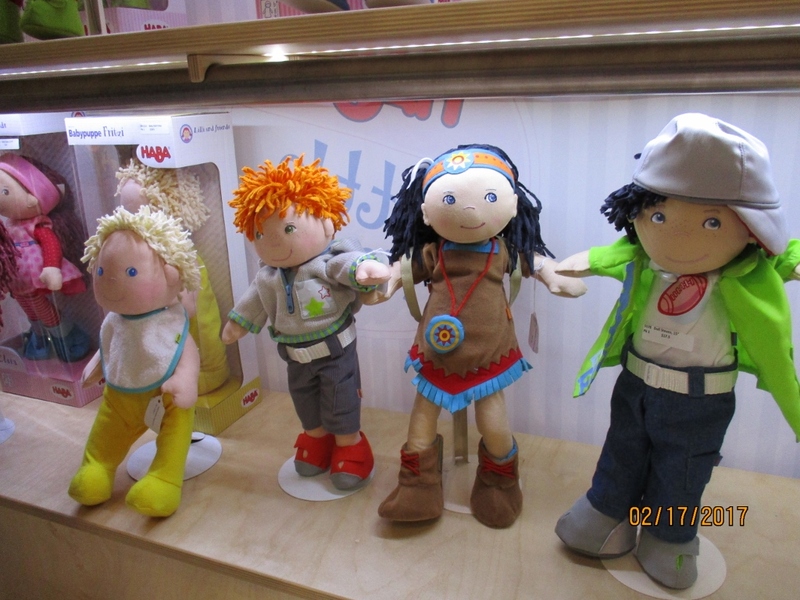 HABA also has additional complete outfits to extend the imaginative play your grandchild will have with one of these dolls. You can see some of the available dolls at the HABA USA website here. 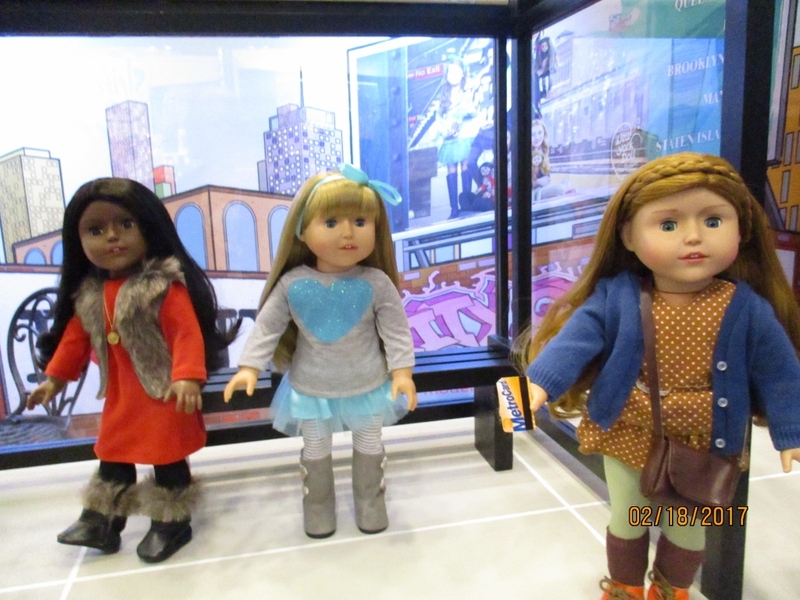 The New York Doll Collection features modern 18 inch dolls with a large collection of clothing, accessories and furniture sold separately to enhance play with the dolls. There are five of these 18 inch “city girl” dolls – one for each New York City borough. They will be available in the Spring. They are a very diverse group and the extra accessories are all high quality. 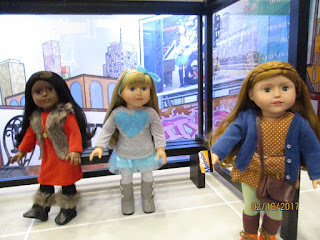 The extensive line of doll shoes were getting lots of attention at Toy Fair and I took this picture – because what woman doesn’t love shoes – even if they are a doll’s shoes. 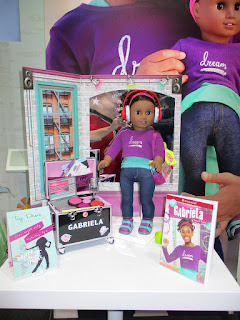 Make no mistake about it Barbie dolls continue to be the most popular dolls with little girls and Mattel continues to innovate with this brand. 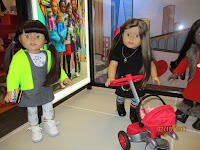 Last year they introduced the Fashionista line with dolls of different shapes, colors and even large medium and small statures. They were very popular and will be introducing 24 new models this year. 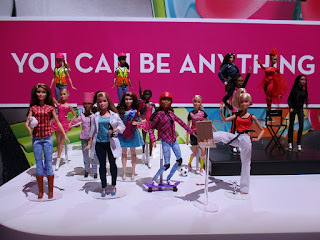 Since every girl I know has a slew of Barbies, you can get a new one of these even if you bought one last year. However, my favorite Barbie is the new one this year – “You can be anything” line. The dolls are dressed in outfits representing various careers – both traditional and non-traditional. There are also playsets corresponding with the dolls. Here again – buy more than one! 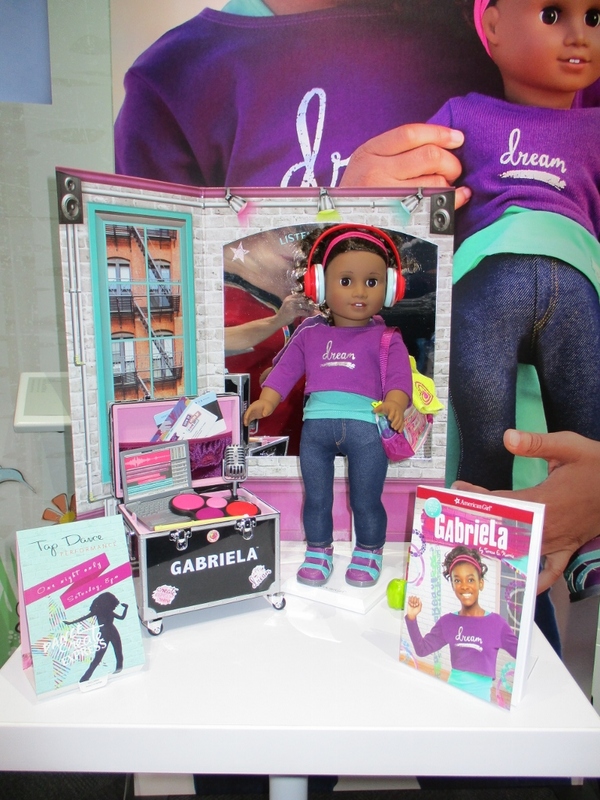 Gabriela is the first African-American American Girl of the year doll. She is a beautiful doll and, of course, she has a complete line of accessories. Her theme is “I am a dancer, artist and poet out to inspire real change.” A nice platform to springboard play. 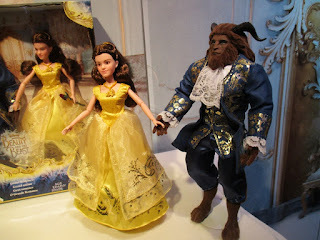 Hasbro’s duo is entitled Beauty and the Beast Grand Romance. This is a set that will be enjoyed by children who loved the movie and collectors as well. It is available as of today at Amazon – you can be one of the first to get it! Priced under $50 for the set, it is meant to be played with. If you are a serious collector, you will have to wait for this Belle doll coming out later this year by Madame Alexander. It is a beautiful doll, as well it should be – the price tag will be $220 – for serious collectors only. 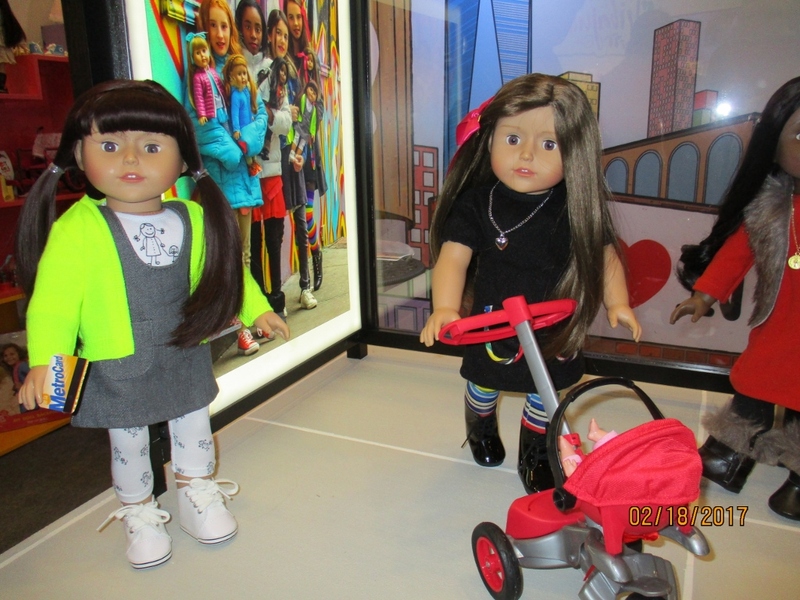 There you have it - my favorite new dolls at Toy Fair. Something for everyone - Enjoy. Which are your favorites? Any doll questions? Please leave your comments. Thank you for sharing this post at the #WednesdayAIM #LinkUp #BlogParty. I shared it on Pinterest. Follow Marion Conway's board Toys 2015 on Pinterest.